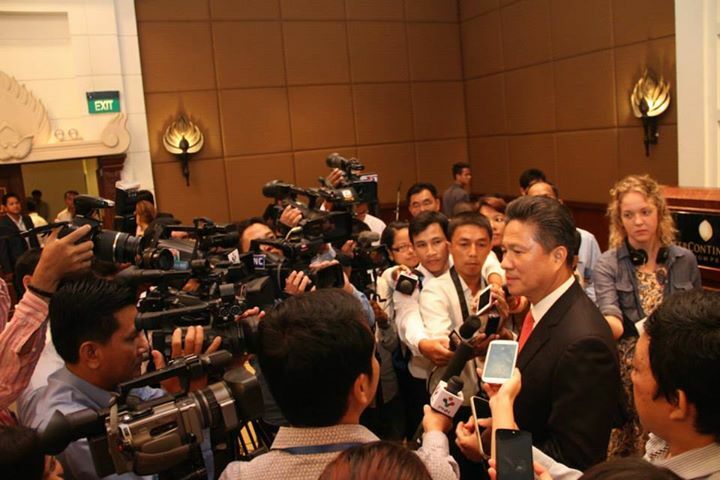 Janelle getting her recording on at an early morning conference with the Minister of Commerce for her first front page story at the Cambodia Daily. 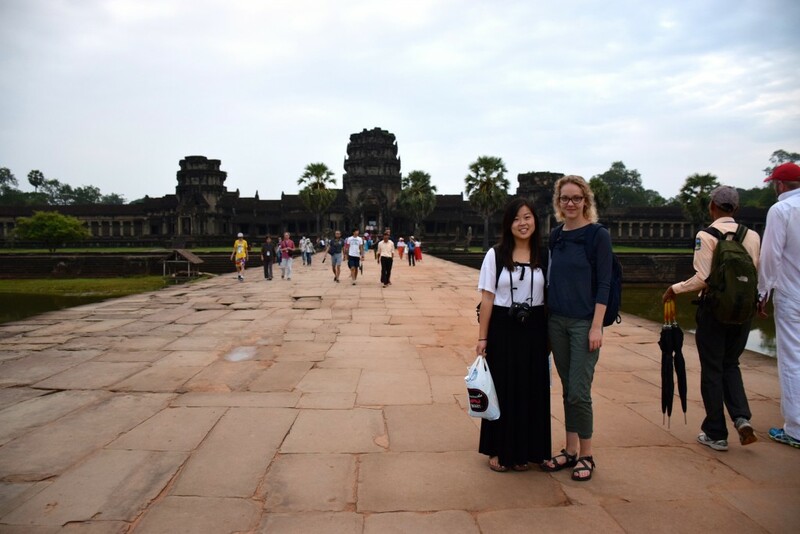 Janelle Retka extended her graduation date in order to participate in the Foreign Intrigue program, where she worked for the Cambodia Daily in Phnom Penh. Majoring in Journalism, she wrote several articles for the education beat and will travel afterward to get the most out of the experience before starting the job hunt. 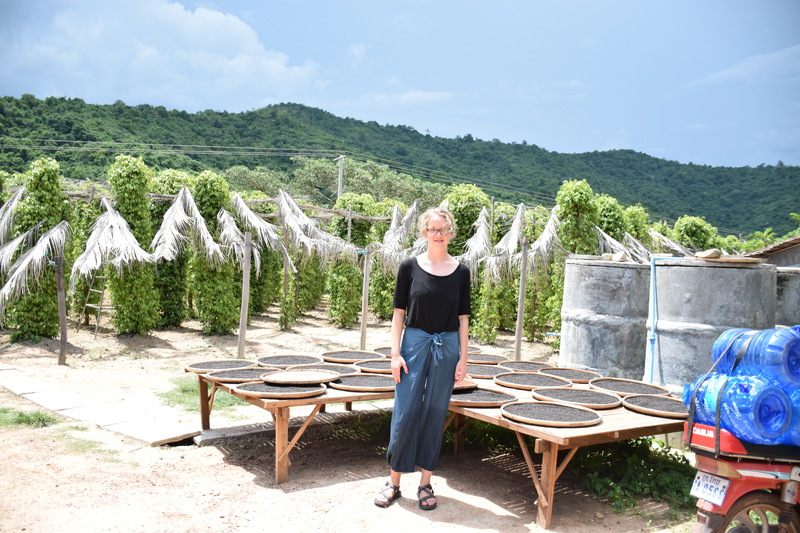 Visiting Kampot Pepper fields, the first Cambodian product to benefit from the World Trade Organization status of Protected Geographical Indication, in August. What is the biggest challenge reporting in a foreign country? Getting spoiled by a visit from Shirley and a trip to Siem Reap’s Angkor Wat, said to be the largest religious monument in the world. “Being a curly-q’d blonde, it’s pretty common to get comments about how weird/fascinating/nice my hair is. Most of the time this just comes out in random conversation, so it’s nothing to think over. Two occasions stick out for having completely caught me off guard, though. “The first was in a market during a cooking class that I took to learn the preparation of some traditional Khmer foods. My teacher was leading me through the narrow market path, showing me local herbs and ingredients and their popular use when a women in her 70s or 80s walked right up to me, grabbing me by the arms and softly shaking me as she laughed non-stop. Once she caught her breath, my instructor Linna told me that she could not believe that Elsa from Frozen’s look-alike was in this local Khmer market. “I’m in the last month of my internship, having extended it beyond the original length. I’m excited to continue on with the education beat and becoming more familiar with the education network and the daily’s style. There’s still a lot to learn, and I’m keen to do it.